If you’re multilingual then you might already have been annoyed by the inability of AI assistants to understand both the languages you speak, but now with select languages Google Assistant can understand. It's a feature that was announced earlier this year but has only now arrived on the platform. You can now choose any two languages out of English, German, French, Spanish, Italian and Japanese, and Google Assistant will be able to understand queries spoken in either one of them - though you can't switch language mid-chat. Previously you’d have to manually change your language settings if you wanted to ask the Assistant something in a different language, which isn’t practical if you’re naturally switching between languages. This change should make Google Assistant a lot more helpful for multilingual families, or for anyone trying to learn a new language – as long as it’s one of the languages above. Want to use languages that aren’t supported as part of this bilingual update? Right now you can’t (not without manually changing your language each time you switch between them) but Google claims that it plans to add more languages in the coming months, so yours might come soon. 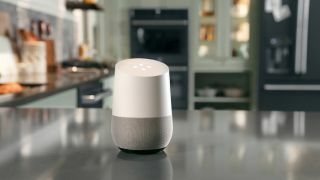 And if you’re trilingual there’s promising news there too, as while right now you can only select two languages, Google says it’s working on teaching Google Assistant to process more than two languages at once. It might take a while though, because this is more than just flipping a switch. Google’s blog post explains that even getting it to understand two languages simultaneously was a multi-year effort, which required getting Assistant to not just identify multiple languages, but understand them, and then optimizing the recognition. Given how much work this was it might also be a long time before Amazon Echo devices or Siri become multilingual too.